LMD SyntaxEdit represents a powerful and fast editor with syntax highlighting, customizable syntax schemes (schemes for many popular programming and scripting languages are included), Unicode and Code folding support. Besides that visual appearance of the editor is completely customizable. 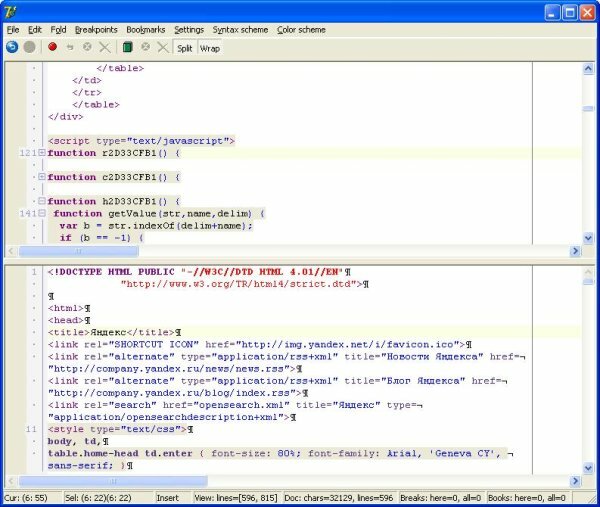 Along with the main controls a very powerful RegEx parsing engine and predefined dialogs for a simple and fast creation of editors are shipped with the package. Besides the trialversions a precompiled Exe-Demo is available in the public download area. Logical separation of Document and View, multiple views of the same text are easily possible. Unicode support! Fast! No size limitations! All standard editor features like Word Wrap, Clipboard support etc. Multilevel Undo/Redo, compound edit feature in document. 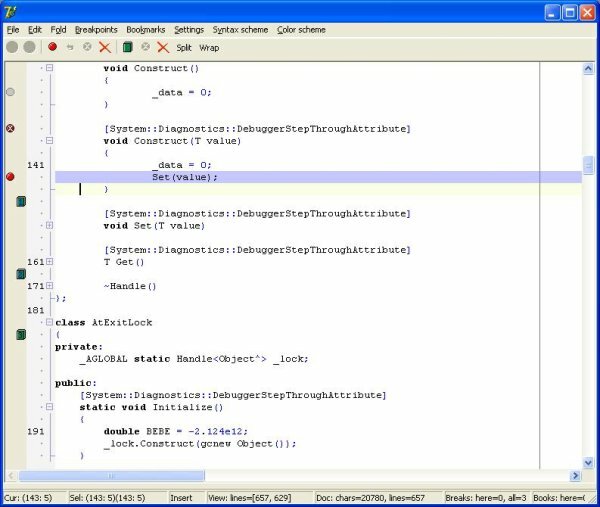 Bookmarks and breakpoints behavior as known in Delphi IDE: bookmarks never disappear when text is deleted, breakpoints will disappear when corresponding line is deleted. Different kinds of breakpoints are supported - with ability to set images for any kind of breakpoint, bookmarks and folding pictures. Supports custom collections of line markers, or just markers for any position in text. Markers positions will be updated during text editing. Virtual editing in view (as known from Delphi IDE). Property editor for syntax/color scheme editing included. Also available as part of LMD IDE-Tools or VCL Complete packages. Text Drag and drop support. Bugfixes and enourmous speed enhancements. Simple text highlight API added: HighlightSettings, Add/Remove Highlight. Useful to highlight some errors or some search results. Check TLMDEditView.HighlightSettings property, and TLMDEditView.AddHighlight, RemoveHighlight, ClearHighlight methods. This screenshot demonstrates customizable gutter with any number of bookmarks, breakpoints, line numbering, folding images, custom bars, etc.